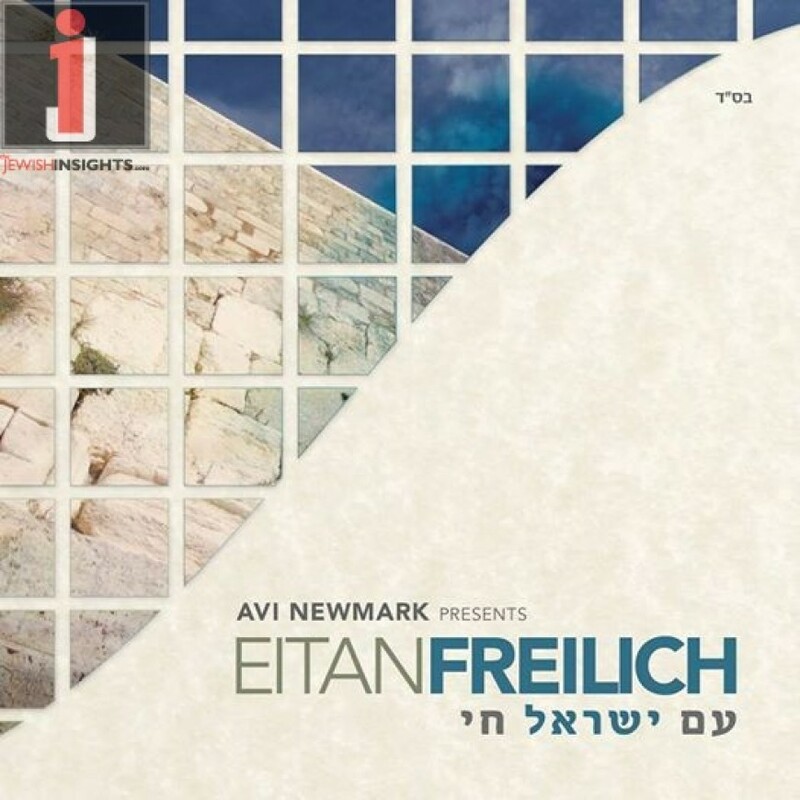 Born into a family of singers and chazanim, it’s not surprising that Eitan Freilich is now releasing his international debut album, featuring original compositions from the world’s top Jewish composers. 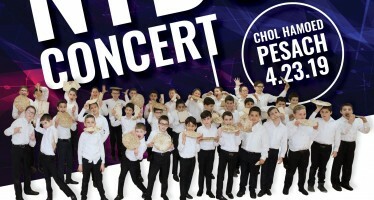 Eitan has been singing and performing from the age of 13. After studying in Yeshiva in Israel, Eitan trained with distinguished professionals. Famed for his energy and vibrance, Eitan now performs at large events across the United Kingdom. In June, Eitan flew to New York to meet the team that would be working on his album. He also met with composer Yitzy Waldner, who with Avi, showed him round the studio and worked with him on further compositions. On his return to London, Eitan worked with an award-winning vocal coach in preparation for an intense recording experience. “Most singers record their albums at their own pace” Eitan reflects, “We decided to block out three weeks from my schedule. 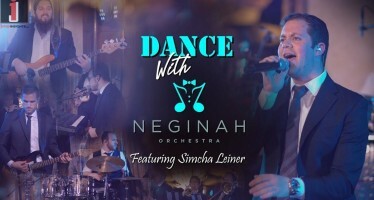 This would be an intensive recording process, recording day after day until my vocals were complete.” He also began studying the lyrics and sources with his Rabbonim in London, to gain deeper insights into each song. Eitan returned to New York in August to record his vocals. Avi remarks, “Eitan is just a lot of fun. He can stay relaxed even though there is a lot he is working on. That just makes for good times in the studio. Oh yeah and he is super witty!” Avi worked closely with arranger Ian Freitor and his team. The arranger is responsible for interpreting the raw composition. He may decide matters like which instruments are used, the key, tempo, style and form. “Ian and Avi are an incredible duo. They pushed the best out of me in the studio”, Eitan enthuses. “The creative process is clearly top of the list in importance for any production”, says Avi. “Ian and I have worked together for many years, on many projects, launching many stars. I am very selective in who I work with in every aspect of production. Ian and I make the perfect team. So yes Eitan is correct.” responds Avi. After just three weeks, the vocals were finished and Eitan returned to London. Avi and Ian worked intensely in the studio to finish the tracks, working with the Yedidim choir, and the talented Yitzy Spinner. Meanwhile, designer Levik. 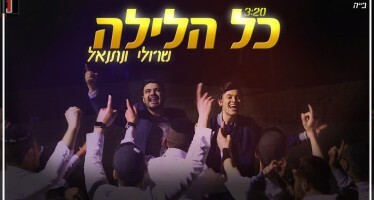 T. and Eitan’s management worked on the graphics and marketing materials. Eitan also teamed up with comedian Mendy Pellin from Beverly Hills. They began working together to write the script for a spectacular music video and currently have a team preparing their 5-day-video-shoot with their film crew. ‘Am Yisrael Chai’ by Eitan Freilich will be distributed by Nigun Music to stores worldwide and available for digital download this week.